The 76ers are trading forwards Robert Covington and Dario Saric, guard Jerryd Bayless, and a 2020 second-round pick for Butler and forward Justin Patton, sources said. 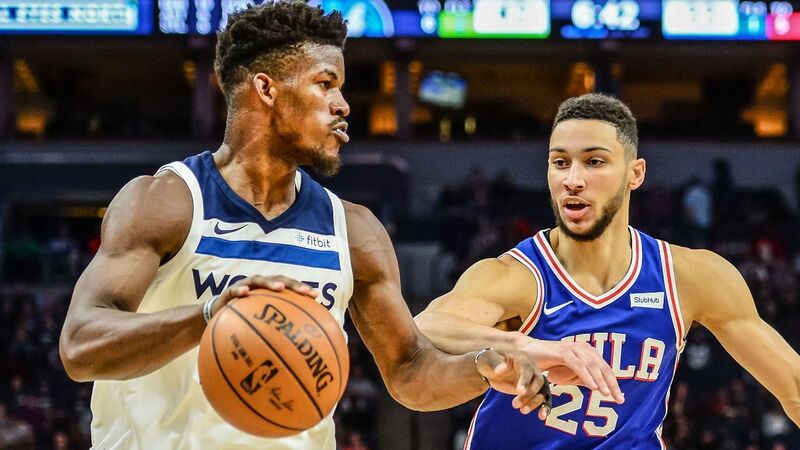 The Sixers and Butler, a four-time All-Star, have every intention of formalizing a long-term agreement this summer, sources said, but nothing is allowed to be negotiated or agreed upon until Butler opts out of the final year of his contract after the season. The Sixers will weigh Butler’s physical condition and how he fits with Joel Embiid and Ben Simmons, but they didn’t give up such significant assets believing that this would be a rental situation. The deal was negotiated on the ownership level with Philadelphia’s Josh Harris and Minnesota’s Glen Taylor, league sources said. Harris and Taylor worked closely with the front offices, including Sixers general manager Elton Brand and Minnesota’s Scott Layden and Thibodeau, on executing the trade. The Sixers’ odds to win the NBA title have improved from 30-1 to 16-1 at the Westgate Las Vegas SuperBook, and their odds to win the Eastern Conference went from 7-1 to 3-1.